The time to act is now. 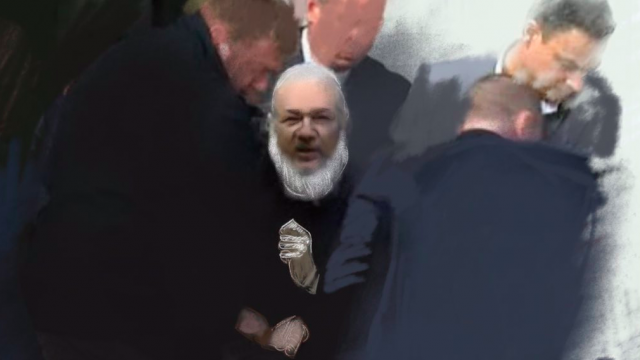 It’s too late to prevent Assange from losing his asylum at the Ecuadorian embassy, so the goal now is to fight extradition. Activist groups are swiftly organising as I type this, so it will be easy for people around the world to find rallies to attend and online movements to help boost. I encourage everyone in the US, the UK and Australia to contact their elected representatives and politely but urgently inform them that the agenda to extradite Assange to the US must be fought at all costs. Educate yourself as best as you can on Assange’s case, and inform everyone you know about what’s going on. 1 — The Metropolitan police were let into the embassy by the Ecuadorian ambassador, his political asylum revoked under entirely false pretences in gross violation of international law. Shame on Ecuador. Hello, here’s the thing I don’t give a rat’s arse if you’ve got bad feels about Assange. This is way bigger than your bad feels & it’s devastating threat to journalism if US can now extradite any journo anywhere & prosecute. How does that work your feels? 10 — This is it, folks. This is where we find out what we’re made of as a species. This is where we find out if humanity gets to survive, and if it deserves to. If we can’t stop the empire from imprisoning a journalist for publishing facts right in front of our eyes, we might as well roll over and tap out right now, because if we lose this one it’s never going to get any better from there.